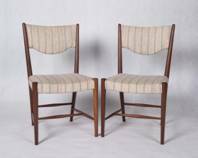 Pair of high back Danish Vintage dining chairs - dark teak. 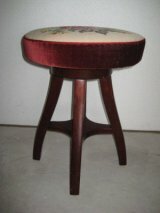 Frits Henningsen design - Rosewood coffee table. 2 small drawers on either side. Brass handles and feet. 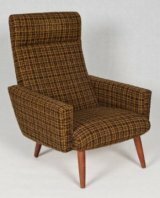 Highback vintage Danish Lounge chair - classic 1960 design, original fabric in great condition. 2 single beds - teak on oak frames 1950s. Seat with hand cross stitching in beautiful colours. 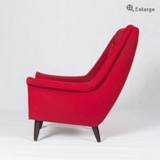 Bernt Pedersen Design called "Ragchairs". 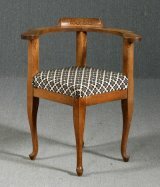 We have 2 sets available, wool fabric on pine frame.